Let’s be honest – continuity in Doctor Who is an omnishambles. Were the UNIT stories set in the '70s or '80s? Which Cybermen are from Mondas, and which from the parallel Earth? And how exactly was the universe changed by the Time War? 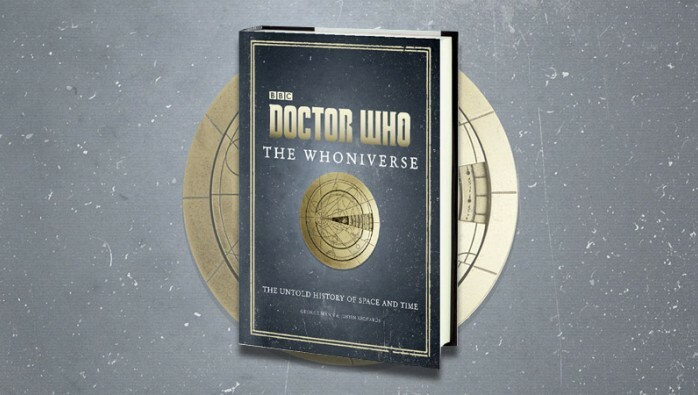 So enthusiastic is the show to shrug these questions off and run along to the next story that any book aiming to provide a complete history of the Who universe – or the, ahem, Whoniverse – has a monumental task ahead of it. But that’s just what George Mann and Justin Richards have set out to do. Firstly, I must enthuse about how bloody gorgeous this book is; a big hardback tome with lushly padded cover, it looks awesome on any coffee table. As the book is set in-universe, it avoids using episode screenshots, which may take away from the immersion, and instead features new and stunning illustrations. Onto the actual content… Mann and Richards mainly focus on the history of Earth, occasionally going off on tangents to discuss the Cybermen, Daleks, Time Lords and the Time War. Though the way they've assembled all points of human history has clearly had extensive work put into it, the downside is that it often comes across as a chronological list of TV Who stories – for example, summarising the 1651-set The Woman Who Lived followed by the 1666-set The Visitation without adding anything to the stories, making any meaningful link, or justifying why either would be seen as relevant to an in-universe history of Earth. Consequently, large portions of the book do seem a wasted opportunity, particularly in the age of wikis when all this can be looked up anyway. The book does improve in the final chapter, which details the Time War – as this has never been fully chronicled on screen, Mann and Richards are able to take more creative licence, and provide as coherent and entertaining a history of said conflict as has ever been published, bringing in elements from Mann’s novel Engines of War as well as some original ideas. Starburst 430 - Out Now!